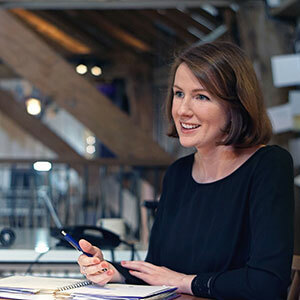 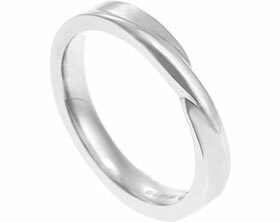 Paul proposed to Stacey and after she said yes, they decided to come to the studio to design their wedding rings together. 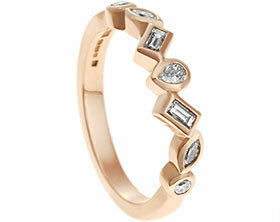 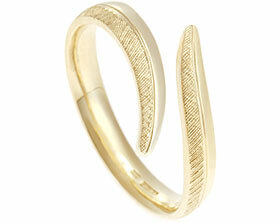 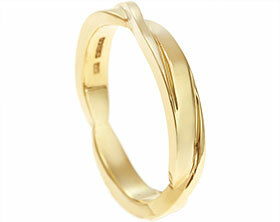 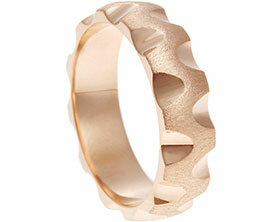 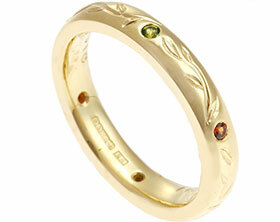 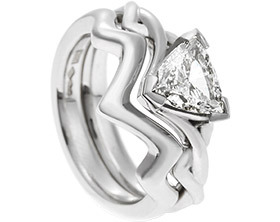 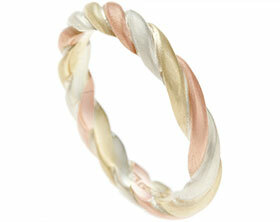 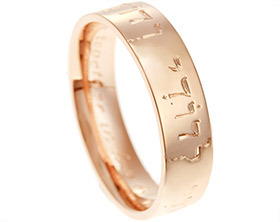 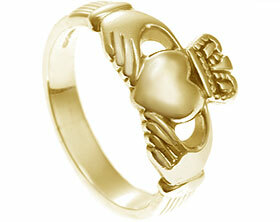 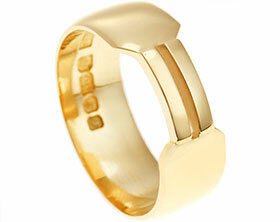 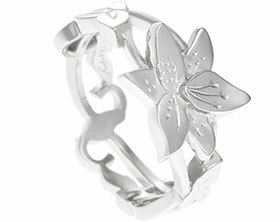 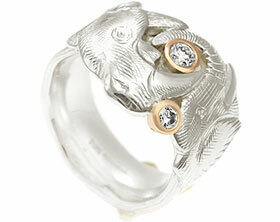 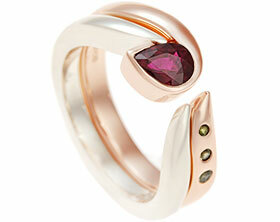 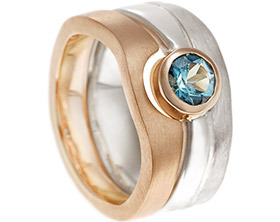 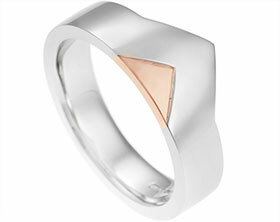 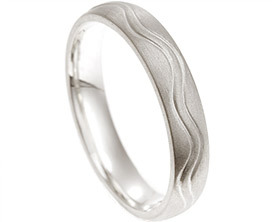 Paul loved the idea of a wedding ring that featured a design element that linked to Stacey's ring. 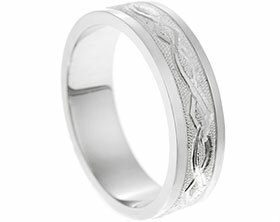 The contour wave shape of Stacey's ring has been engraved onto Paul's wedding ring, with contrasting polished and tunstall finishes on either side of the divide. 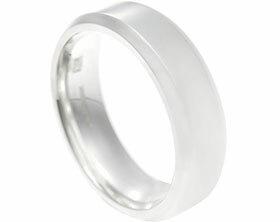 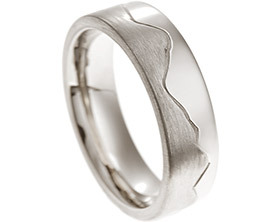 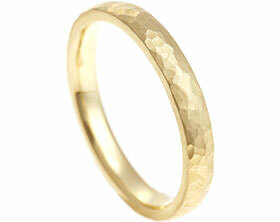 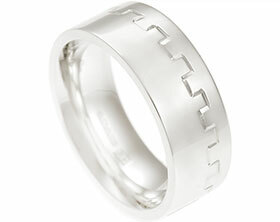 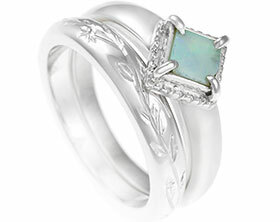 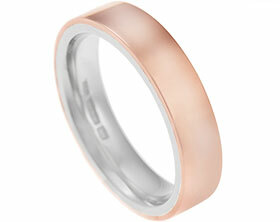 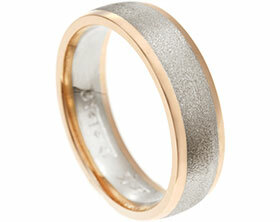 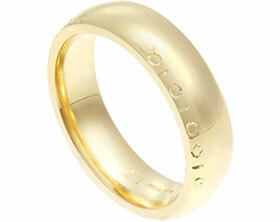 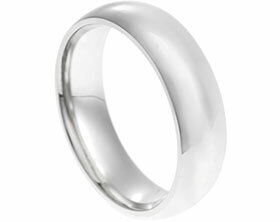 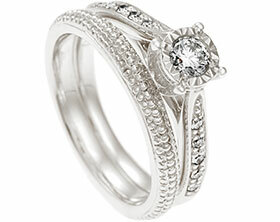 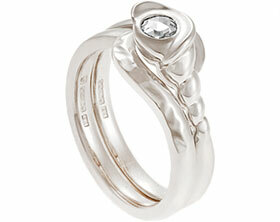 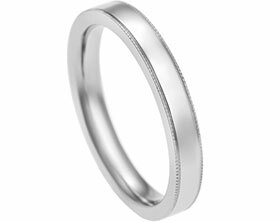 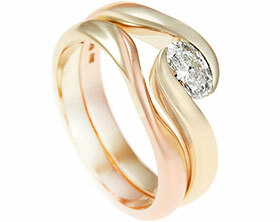 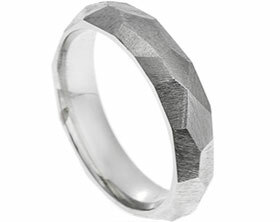 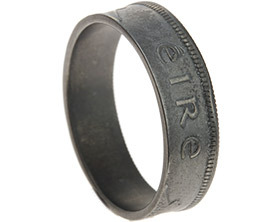 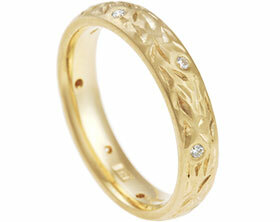 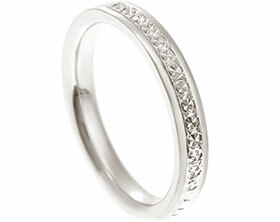 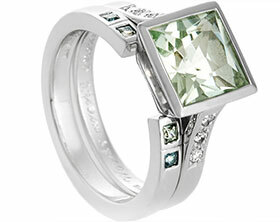 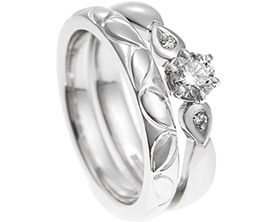 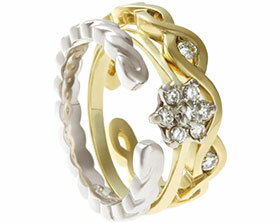 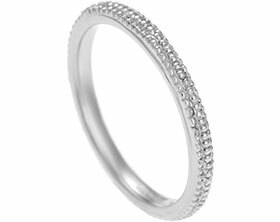 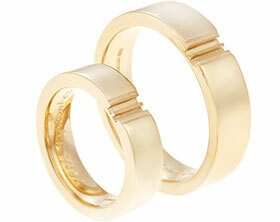 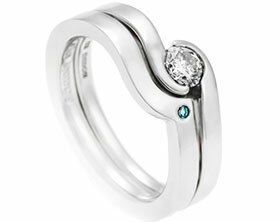 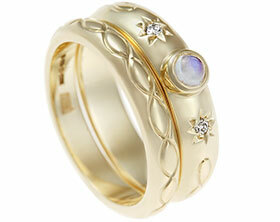 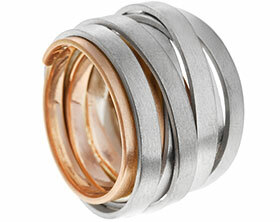 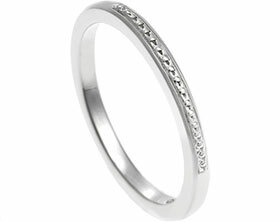 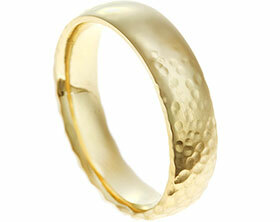 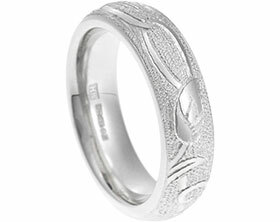 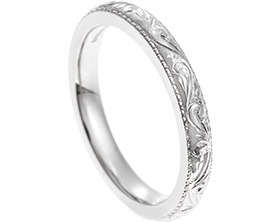 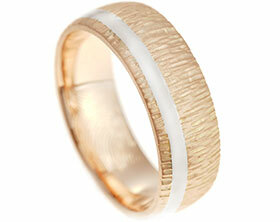 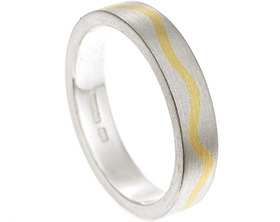 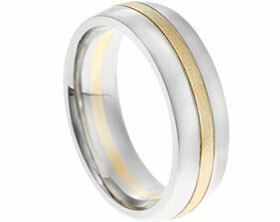 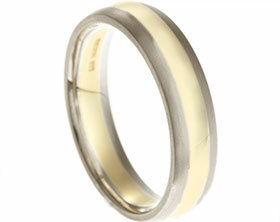 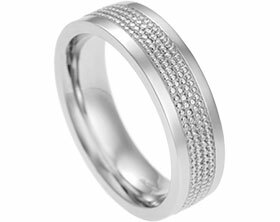 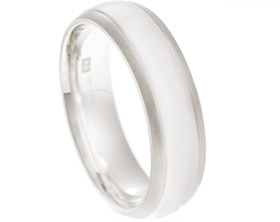 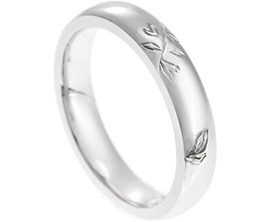 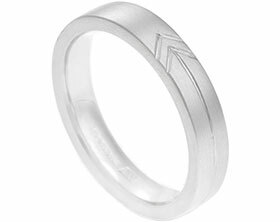 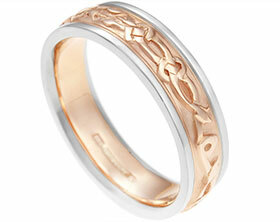 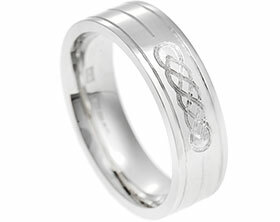 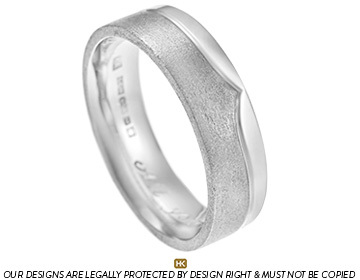 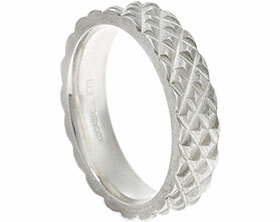 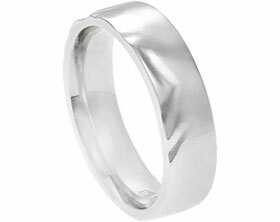 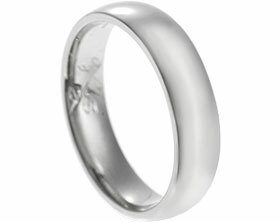 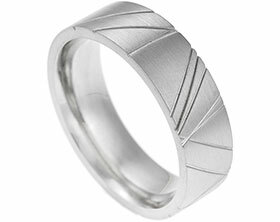 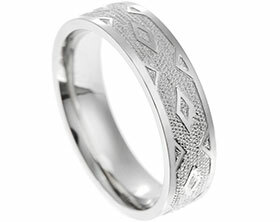 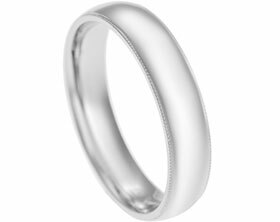 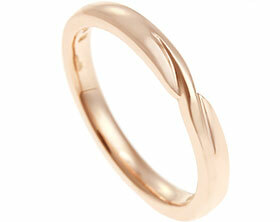 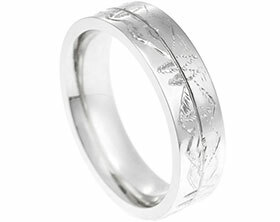 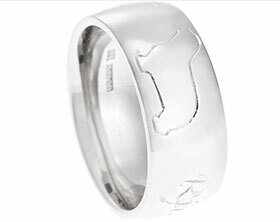 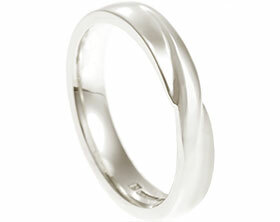 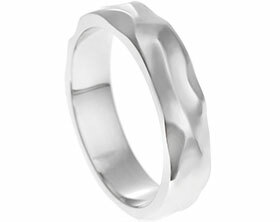 The hand worked platinum wedding ring has a 6mm wide band with a reverse D shaped profile.